and White-bellied Sea-eagle (Haliaeetus leucogaster) gracefully in flight scavenging for floating offal and fishes in rivers and the neighbouring mangrove swamps. It is also found that the 255-hectare Pulau Kelumpang and the 130-hectare Pulau Terong support a viable breeding population of the endangered Milky Stork (Mycteria cinerea) and the Lesser Adjutant (Leptoptilos javanicus). also known as the Indo-Pacific Humpback Dolphin, can be spotted swimming along the river-mouths. This dolphin is one of the 2 known species of pink freshwater dolphins found in the world. 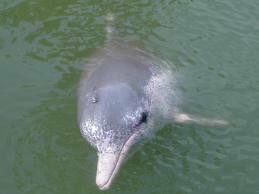 A native of Southeast Asia, the dolphin is either white or pink-skinned and can grow to the length of 3.5 metres. There is also a prehistoric archaeological site in Pulau Kelumpang. Out to the sea, visitors on boats may also be fortunate enough to see dugongs (Dugong dugon) swimming near the river deltas. and about 50 species of crabs and 20 species of prawns and shrimps, both edible and non-edible. 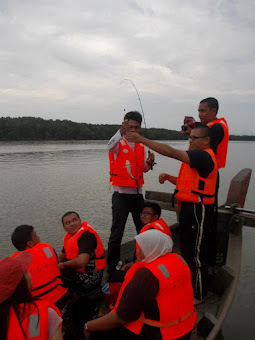 Matang Mangroves, Kuala Sepetang with its vast mangrove resources, well managed ecosystem, abundant wildlife and thriving fishing industry, is an ideal destination for tourists. This Mangrove Forest has the distinction of being internationally acknowledged as the best managed mangrove forest in the world. Stroll on wooden boardwalk to get a closer look at the mangrove trees and the animals that live in the muddy coastal floor of the mangrove ecosystem. Being a haven for migratory water and forest birds especially at the Kuala Gula Bird Sanctuary, it is a place where bird watchers congregate and photographers to get their best shots. Visit the charcoal processing sites with their unique and traditional method of charcoal making. 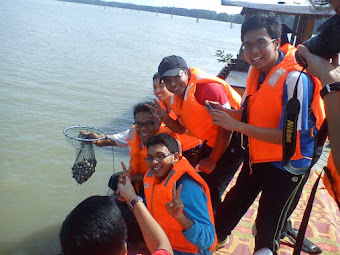 Study the numerous ways of fishing using floating fish-cages along Sungai Sangga, visit fishing villages which are built with supporting wooden stilts and examine aquaculture industry. Watch a documentary at the Nature Education Centre or the Pusat Eco Pelajaran Kuala Sepetang and learn about the mangrove environment. Participate in the replanting of saplings of Rhizophora and Lenggadai trees carried out by the Perak State Forestry Department under the reforestation programme for this mangrove ecosystem. 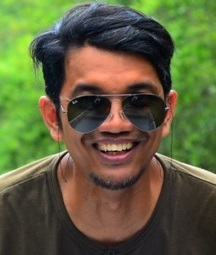 The Matang Mangrove Forest Reserve is located near Taiping, so if by car, use the North-South Highway and exit through the Changkat Jering or the Taiping Utara tolls. From Kuala Lumpur, it takes 3 hours, from Ipoh slightly more than an hour and similarly from Penang it is an hour drive. Keep to the coastal region, pass the Simpang junction and follow road to Matang village. Veer right around the bend and follow road with forests on each side and look for Pejabat Hutan Kecil, Paya Laut, Kuala Sepetang sign on the right. Turn right and stop at entrance gate to sign forms and get advice from forest rangers. Since there is taxi service available in the town of Taiping, tourists can also catch a bus from Kuala Lumpur, Penang or Ipoh to this town. From here, get onto a taxi and go to Matang Nature Education Centre or the Kuala Gula Bird Sanctuary or Kampung Dew. 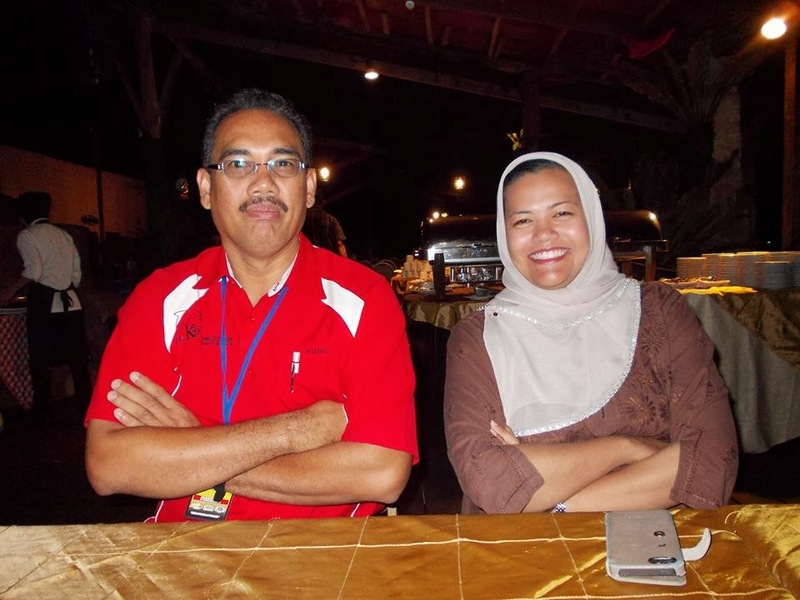 Homestay is found in abundance in villages throughout the Matang Mangroves. There are homestay in Kampung Dew near Simpang (call: Khairul 012-5145023; Azman 019-5788982 or Zul 013-5256508; or visit website: www.fireflyzone.blogspot.com for those who are interested to see the Pulau Kelumpang Prehistoric Archaeological Site in the morning, the charcoal making factories in the day and fireflies in the night. Bring along cameras and telescopic lens. Carry binoculars for bird watching and monkey spotting. 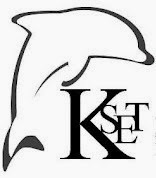 Guide books to identify mangrove mammals and birds. Headlights or torches for night activities. Insect repellent spray (which must be environmental friendly). For campers, bring along own camping gears and tents. Prawn mee is a specialty of this region especially at Kampung Dew. 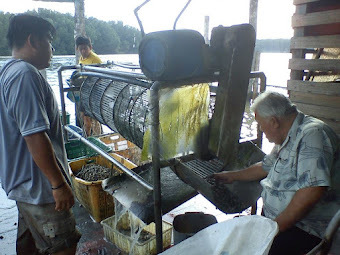 Among them is the Warung Makteh Mee Banjir Udang which is located just before the Chuah’s Charcoal Factory about 2 kilometres from the Matang Mangrove Forest. Another stall is the Mak Jah Mee Udang. 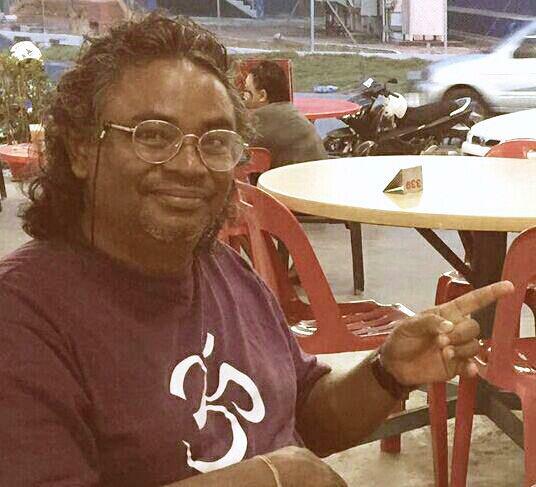 Both of them also serve specially prepare curry mee. Around this region, there are several Chinese shops serving an assortment of seafood cuisines and seafood porridge. 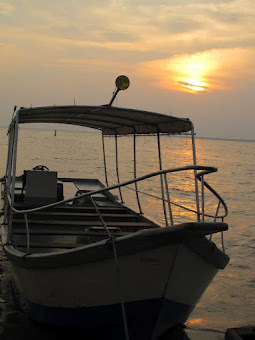 Nearby communities offer night time boat rides to see the fireflies. 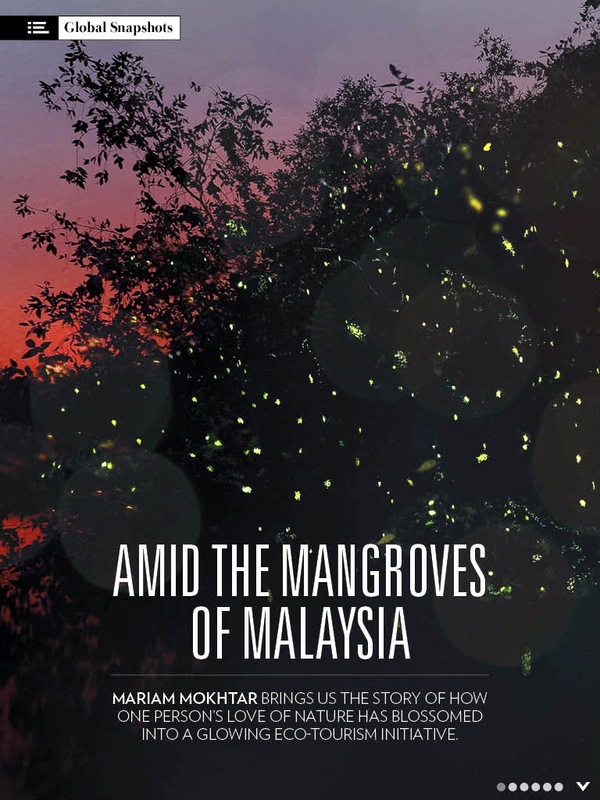 One of the simple natural wonders of mangrove forests, these flashing insects amaze visitors with their sparkling displays. Take a guided excursion to see how freshly cut trees are stacked and loaded into large baking kilns to produce charcoal. Fires burn for up to 20 days and temperatures reach a superhot 220°C to dry out green trees into black fuel after leaving it to cool for 8 days. Using charcoal to heat the water and make steam, there are a few operators offering healthy steam baths to cleanse your skin. Such treatment is said to be able to kill the germs on your body and relax your body muscles. There are several charcoal production kilns which are located close to each other and at the Matang Mangrove Forest Reserve. Thus, once the visitor has gained access to the mangrove forest, these distinctive charcoal production kilns will not be missed. Access to the Matang Mangrove Forest has been described above. Simple and comfortable accommodation can be sought at the Matang Nature Education Centre or homestay in nearby Malay villages as mentioned above. A few kilometres at the northern tip of the Matang mangrove forest lies a large wetland swamp where local and migratory birds flourish. 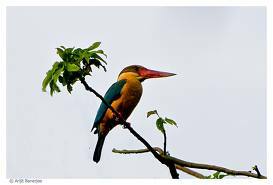 Go see the endangered storks, egrets, herons, kingfishers, bulbuls, doves, woodpeckers, magpies, sunbirds, tailorbirds, swifts, sparrows, kites and migratory birds from the northern hemisphere. , Cattle Egret (Bubulcus ibis), Little Egret (Egretta garzetta), Great Egret (Ardea alba), Black-headed Gull (Larus ridibundus), Black-naped Tern (Sterna sumatrana) come from Siberia, Japan and China during the migratory season from September until April each year. They usually come in large flocks, numbering from several hundreds to several thousands, individuals. The mangrove swamp forest and a long stretched of mudflat beaches here provide an excellent feeding ground and nesting habitat for these birds. The mudflat or benthos ecosystem is rich with minute organisms and plankton such as small crabs, crustaceans, annelids and copepods which are rich in protein. 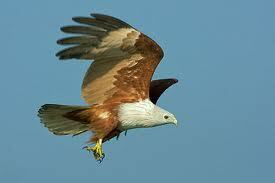 These organisms also provide the nutrients to generate energy the birds require to continue their journey to the south. Tourists can join fishermen in their daily fishing trips, help them to pull up their fishing nets, collect the fishes and shrimps and put them into pails or ice-boxes. Tourists can also be of privilege to purchase freshly caught fishes and shrimps from the fishermen. On the North-South Highway, exit at the Taiping Utara toll and follow road signage to Kuala Gula. At Kuala Gula, there is a small Chinese fishing village surrounded with scattered Malay houses. 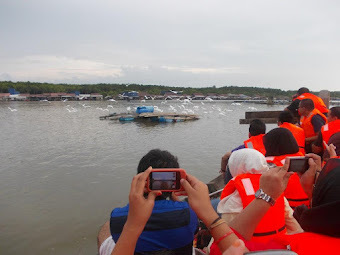 All around this small fishing village is mangrove forest where bird-watchers and nature lovers can venture in. There are a few Chinese restaurants serving fresh seafood. There are also a few Malay food outlets selling seafood noodles and rice. For nature guides and tours, contact the Larut Matang District Forestry Department (Tel: 05-8072762) to organize tours with local guides for ecology or bird-watching and book groups to use the camping and information centre facilities. Kuala Sepetang is situated about 12 kilometres from the Taiping toll exit of the North-South Highway. Follow the road signage to Kuala Sepetang. Simple but comfortable homestay can be sought at Kampung Dew, or call Khairul (012-5145023), Azman (019-5788982) or Zul (013-5256508). Kampung Dew is famous for its seafood curry mee and prawn mee which are often served together with an icy dessert. Pulau Kelumpang, an island located in the Matang mangroves, is reputed to have the most picturesque mangrove swamp in the world. A visit to this island is a must for those who wish to have a closer look at nature and learn about the special habitat of the wildlife found here. According to an archaeological study by the Malaysia Science University or USM, Pulau Kelumpang was found to be inhabited by an early Malay settlement about 1,000 years ago. Their remains and graveyards together with natural and synthetic gem and rock artifacts have been found in Pulau Kelumpang. As such, this island is an excellent destination for tourists who are interested in nature or archaeology, but only for a day trip because this island does not have accommodation nor food outlets. 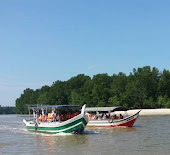 A boat ride is required to go to Pulau Kelumpang. Make arrangements with either the office of the District Forest Ranger or negotiate a boat ride with the villagers from the nearby villages. There is no accommodation in island, and camping is not very suitable as there is no fresh water. Try affordable homestay at nearby Malay villages. Sincere there is also no food outlet on this island, visitors are advised to bring along some snacks and bottled drinks. Hey, I discover perusing this article a delight. It is amazingly useful and intriguing and especially anticipating perusing a greater amount of your work..